You are currently browsing the tag archive for the ‘manna’ tag. on Sunday, February 18, 2018, by the Rev. Jeffrey Spencer. Warning: I’m about to do some math. According to ApartmentList.com, the median monthly rent for a 2-bedroom apartment in the United States is $1160. A rent of $1160/mo x 12mo/yr = a rent of $13,920/yr. There are 52 weeks in a year, so that’s $267.69/wk. Rent, I was taught, shouldn’t be more than a third of your income. So, if one’s rent is one-third of one’s income, that means someone renting a median-priced 2-bedroom apartment should be making at least $803 per week. For a 40-hour work-week, that requires an hourly wage of $20/hour. The national minimum wage is $7.25. Another way of looking at this: someone would have to work 110 hours a week (two and three-quarter full-time minimum-wage jobs) to afford a median-priced 2-bedroom apartment. 110 hours per week. Add seven hours of sleep a night, and you have 9 hours left each week (one and a quarter hours each day) for eating, taking a shower, paying the bills, running errands, etc. According to Rent Café, the average monthly rent for a 2-bedroom apartment in Fremont, California, one year ago was $2547. Doing the same math ($2547/mo times 12mo/yr divided by 52 wk/yr) shows a weekly rent of $587.77. Which means one should have a weekly income of $1763.31. The minimum wage in California in 2017 was $10.50 per hour. That’s 168 hours of work a week at minimum wage to afford an average-priced two-bedroom apartment in Fremont. A week is 168 hours long. This is a contemporary version of the Imperial economic system that stands in opposition to God’s Sabbath economic system, the system we are introduced to in today’s reading from Exodus. The story of the Exodus is the foundational story of the Jews, and in that story, we find the foundational story of understanding Sabbath Economics. We run into the concept of the Sabbath in the first story in that collection of stories we call the Bible. God creates all there is in six days, and upon reflecting on this wondrous work, God rest. The pattern is set from the beginning: good work is followed by rest. Notice, that the purpose of this divine rest on the seventh day of creation is not in order to do more work on the eighth day. There is no “back to work after the weekend” for God. The purpose of the Sabbath is so God can enjoy the work already completed. The next time we run into the Sabbath day is in today’s reading from the Exodus narrative, here in this archetypal story of hunger and bread in the wilderness. The Hebrews have been sprung from slavery, but now they must face the harsh realities of life outside the imperial system. Their first test of character is how they will sustain themselves, an economic test. If you listen to the story, you’ll hear that they could not imagine an economic system apart for the Egyptian political-military-technological complex that enslaved them. You hear it in their complaint to Moses: “If only we had died by the hand of the Lord in the land of Egypt, when we sat by the fleshpots and ate our fill of bread; for you have brought us out into this wilderness to kill this whole assembly with hunger.” It’s not just whining. It’s an inability to imagine another possibility for sustenance, the inability to imagine another economy. So God gives the Hebrews instructions on how to gather the gift of bread from God. This, their first test on following instruction, is an economic lesson. Ched Myers (I’m basing the sermons in this series on his work) notes that for tens of thousands of years, human beings’ survival was based on a cooperative, egalitarian lifestyle. Prior to the rise of concentrated agriculture, cities, and eventually imperial economies based on slavery, hunting and gathering (and even local horticulture) required the cooperation of the community. The instructions God gives the Hebrews is a call to an alternative economy, an alternative to the Imperial economy, that is (in many ways) like this initial economy. Three characteristics of God’s alternative economy are seen in the instructions God gives the Hebrews. First, every family is told to gather just enough bread for their needs. Second, this bread should not be “stored up,” even overnight. Third, there are special instructions for keeping the Sabbath. Let’s take a deeper look at the implications of these three instructions and what they tell us about God’s Sabbath economy. The first instruction: every family is told to gather just enough bread for their needs. In contrast to the conditions of great deprivation under Egypt’s Imperial economy (read the beginning of the book of Exodus to get a picture of what those were), here, in God’s economy, everyone has enough. “Those who gathered much had nothing over, and those who gathered little had no shortage.” In God’s economy there is such a thing as “too much” and there is such a thing as “too little.” Contrast that with the ever-widening wealth gap in the United States. This instruction, not to store up the collected manna, runs counter to the values of the Imperial economy. In the Imperial economy, wealth and resources are drawn together into greater and greater concentrations of idolatrous power. In God’s economy, wealth is supposed to keep circulating through strategies of redistribution, not concentrating through strategies of accumulation. The third instruction is the special instruction for the Sabbath. We haven’t gotten to the part of the Exodus story where Moses brings the Ten Commandments down from the top of Mount Sinai, so this instruction to keep the Sabbath as a day separate and different from the other six is something new. Torah’s Sabbath regulations represent God’s strategy for teaching Israel about its dependence upon the land as a gift to share equitably, not as a possession to exploit. This ethic of Sabbath rest is not just for the people. Land is given Sabbath rest by allowing it to lie fallow every seven years. “You shall let the land rest and lie fallow, so that the poor of your people may eat; and what they leave the wild animals may eat.” The people are reminded that the earth belongs to God and its fruits are a gift that the people should justly distribute, not hoard. The lessons of this story are so fundamental that the people were instructed to keep a jarful of the manna in front of the Covenant. (Did you catch that at the end of today’s reading?) Sabbath observation means remembering every week the three basic principles of God’s economy: That there is enough for everyone. That no one should have too much (the prohibition on accumulation). That the economy is not dependent solely on human labor. The manna story illustrates human dependence on God’s economy, the economy of grace. Dependence not on human labor, not on human technology, not on human social organizations, but on God’s grace. This vision, of course, runs counter to economics as we know it. And because we believe that the natural condition is scarcity and that human appetites are limitless, we think we have to get ours before somebody else does. So we accumulate. We hoard. This story from the Exodus invites us to pick a different economy, a non-Imperial economy, a Sabbath economy. We are invited to pick an economy based on the principles of abundance and self-restraint, an economy based on the assumption that God provides enough for survival and prosperity for human life, and that human needs and wants are (or at least can be) limited. In this economy, no one need starve or suffer the elements through lack of housing or clothing. On its surface, the Gospel lesson seems to contradict the lessons from the Exodus story. The disciples are out walking through a field on the Sabbath, gleaning grain. The Pharisees who see this call Jesus on it. Jesus justifies their actions by reminding his accusers of a story about the great King David who broken the rules because he and his companions were hungry. This story happens right after Jesus has identified himself as “the Son of Man,” one who has authority to forgive sins. It’s important to recognize that in the Aramaic, the language of Jesus, there is one word that means both “sin” and “debt.” That’s why, when we say, “forgive us our debts as we forgive our debtors” in the Lord’s Prayer, we’re talking about both forgiveness of sins and proclaiming the Jubilee Year – the once every 50 years when debts are forgiven and land is returned to its original owners. It might seem like Jesus is ignoring Sabbath obligations because – well, because he is. At least I think he is. He is reinterpreting the Sabbath, moving it away from a set of rules and bringing it back to its original meaning as a gift of rest and a sign of the sufficiency of God’s created order. He is confirming that the purpose of the Sabbath is to humanize us in a world where so much of our socio-economic reasoning and practice is dehumanizing. It is any wonder that Jesus’ central struggle with the religious authorities of his day was not over theology, but over the meaning of Sabbath? We’ll get into Jesus’ understanding of Sabbath economics much more deeply next week. For now, suffice it to say that the manna story, the foundation for Sabbath economics, has a central place in Jesus’ consciousness, and when Jesus call us into God’s kin-dom, he is calling us into this alternative, anti-Imperial economy. May we be brave enough to heed that call. 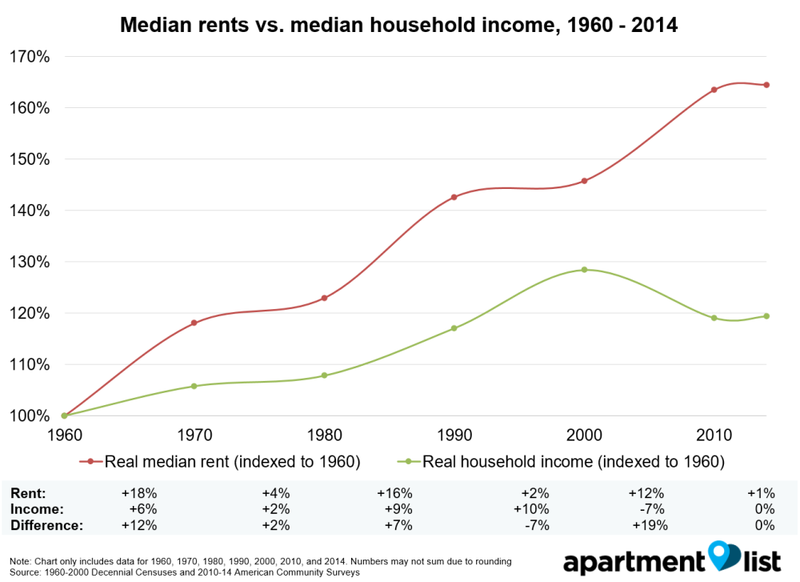 See https://www.apartmentlist.com/rentonomics/rental-data/ for information about how they came up with this figure. Department of Labor, https://www.dol.gov/general/topic/wages/minimumwage (accessed 17 February 2018). See https://www.rentcafe.com/average-rent-market-trends/us/ca/fremont/ for information about how they came up with this number. They don’t say whether that’s median or mean, but it’s a large enough sample the numbers are probably very close. This was actually the minimum wage if the company had more than 25 employees. It is now $11/hr. See California Department of Industry Relations, https://www.dir.ca.gov/dlse/faq_minimumwage.htm (accessed 17 February 2018). This sermon is based largely on Chapter 1 of Ched Myers’ The Biblical View of Sabbath Economics (Washington, D.C.: Tell the Word, 2001), 10-17. I don’t know if Marx actually said this, but it’s attributed to him. From more on this quote, see James G. Devine, Marx’s Law of Capitalist Accumulation Revisited, http://myweb.lmu.edu/jdevine/AGLoCA.pdf (accessed 19 March 2011), 20. Richard Lowery, Sabbath and Jubilee, quoted by Myers, op cit, 13.